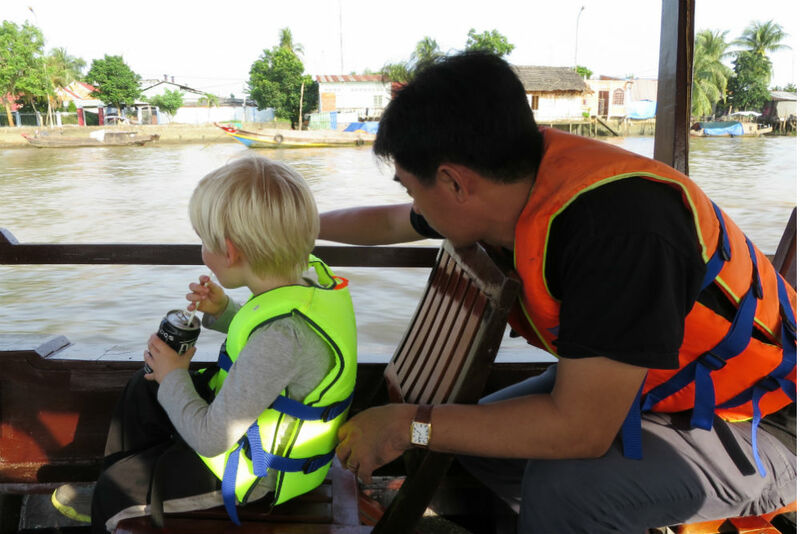 Enjoying a guided boat tour on the Mekong River, Vietnam. Photo: Ryan Damm. When you’re planning a vacation with young kids, you might think that hiring a private guide is an unnecessary luxury, an expense that couldn’t add much to the experience or that might get in the way of all that family bonding. You’d be wrong. A good kid-friendly guide—as I found out on a recent trip with my husband and four-year-old to Southeast Asia—can make a huge difference in your child’s experience of a place, and in yours, too. The best ones know how to make museums come alive, where to find engaging activities, and equally important, how to steer your day so that no one has a meltdown (adults included). The same value that outstanding guides add to grown-up trips—fascinating history and context, behind-the-scenes access, instant entry into local culture—they can bring for kids too. We travel with our children because we want to create memorable experiences as a family; how memorable is it if you’re chasing after them all day and trying to figure out the next “fun” thing to do? A private guide will not only come up with exciting activities, but will also take care of the small, annoying details—leaving you free to accomplish your main objective: spending meaningful time together. Request a guide who’s also a parent. With perhaps a few exceptions, only a fellow parent can truly understand how a young kid will impact your trip. Ask your trip planner how he/she knows that a particular guide is great with kids; have they seen the guide interact with children? Make clearly spoken English a priority. My son, Zeke, had a hard time understanding when some of our guides spoke; in these situations, either my husband or I would have to “translate” for him. In the future, I’ll make unaccented pronunciation the second-highest priority for any guide I hire for my family. Kid-focused activities keep kids engaged throughout long tours. Photo: Ryan Damm. Ask in advance for a treasure hunt or other kid-focused activities. Don’t expect your kid to simply tag along while you tromp through museums and monuments. Including your children in the day’s events is key to keeping them engaged. Treasure hunts are a great way to keep them interested throughout a day-long tour. Make the most of your time with a guide, wherever you are. When Zeke hijacked the city tour that had been planned for our only day in Hanoi (thanks to a tantrum so bad it left me in tears), our guide took us to an indoor play area instead. While we didn’t get to see much of Hanoi, I still learned a lot about contemporary Vietnamese culture by chatting with our guide while my son played in a ball pit. Be vigilant about the schedule. 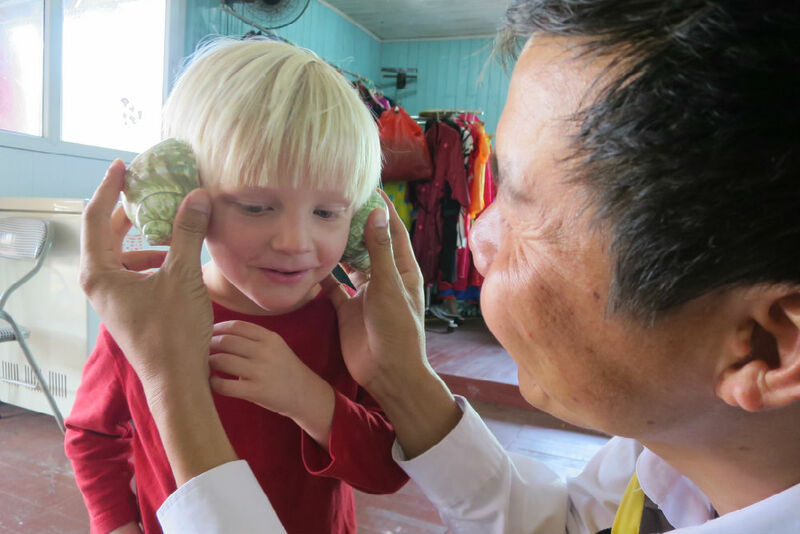 Adding a four-year-old to the equation makes everything take twice as long, whether it’s a trip to the grocery store or a stroll through Hoi An’s Ancient Town. When any of our guides assumed that we could keep to a typical touring timetable, the schedule would invariably slide, and my son would end up missing his afternoon nap—which made all of us cranky. If I’d estimated for our guide how long my son would last in Angkor Wat at the outset, he could have properly paced our visit so that we saw all of the ruins’ highlights. As it was, my son melted down halfway through and we had to skip half of the temple. Next time, I’ll be explicit with guides about what time we have to eat lunch or be back at the hotel for an afternoon rest, so that they can plan accordingly. Allot your time with guides thoughtfully. I found a private guide most helpful in large cities, where logistics are particularly tricky. I recommend hiring one for your first day in a new city, then using any additional time there to explore on your own. Elsewhere, use guides only where they can provide access to things you wouldn’t see otherwise: a local village, say, or an after-hours visit to a museum that’s normally crowded. 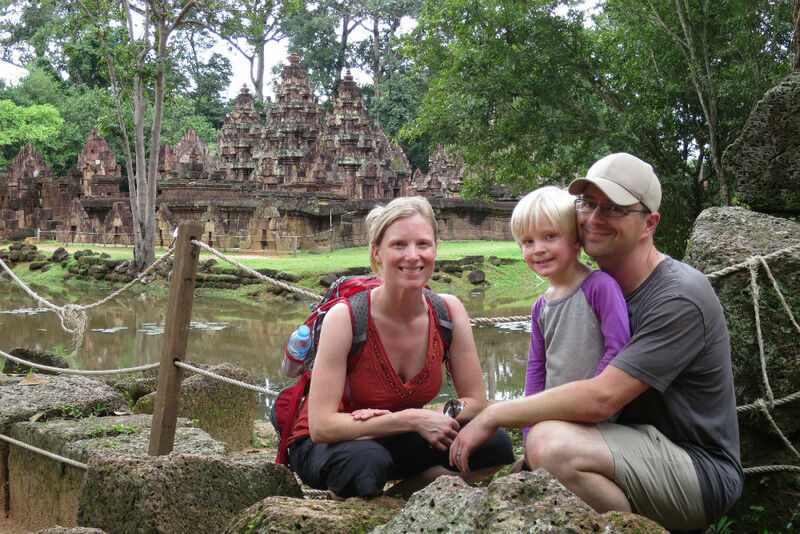 What’s the best thing that a private guide has done for your family on a trip? Disclosure: Journeys Within and their partners provided most elements of the writer’s trip (hotels, intra-Asia airfare, guides, ground transportation, and sightseeing entry fees) free of charge. 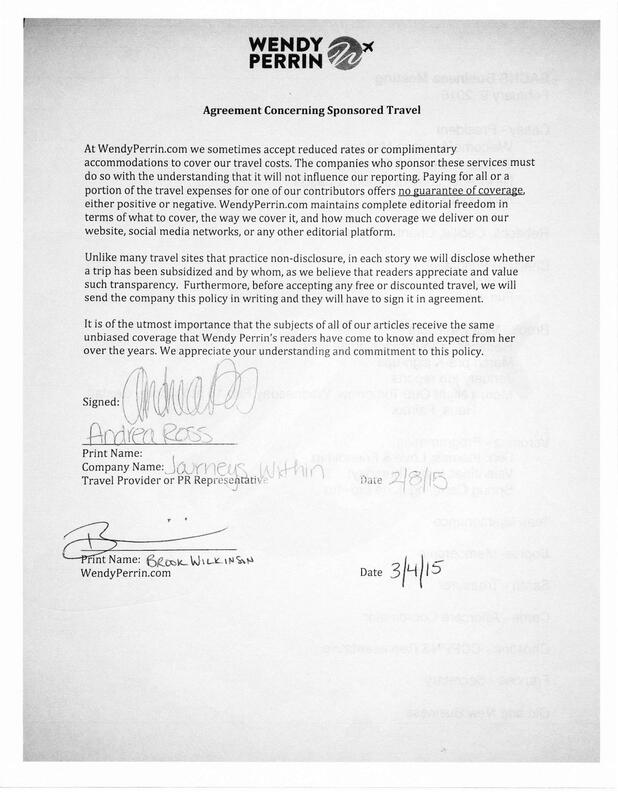 In keeping with WendyPerrin.com standard practice, there was no request for coverage on Journeys Within’s part, nor was anything promised on ours. You can read our sponsored travel agreement with Journeys Within here. 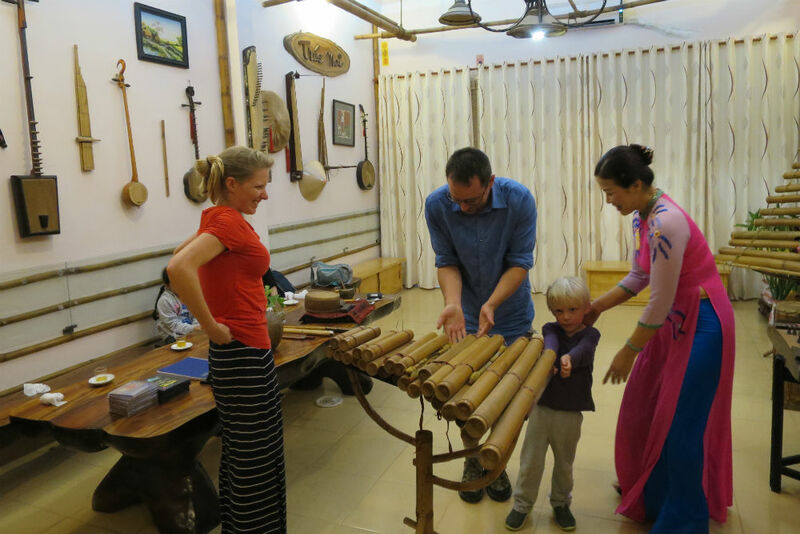 When you think Vietnam, do you think kid-friendly? While visiting with my four-year-old, I found five fun things that I never expected we’d be able to do. My wife and I took our14 year old and 8 year old grandsons with us to Israel and had a fully packed schedule arranged for our one day in Jerusalem. We were fully expecting a meltdown or sullen behavior before the day was complete. The boys outlasted me, thanks to their relating so well to our private guide, Mr. Lior Eitam, who was arranged by Susan Weissberg. We found Susan on your WOW list, so thanks. Sorry about your 4 year old. We have a grandson that age as well, but we are going to let him age a bit before we set off with him.